Recent advances with so-called meta-materials have shown that a practical invisibility cloak might one day be possible. 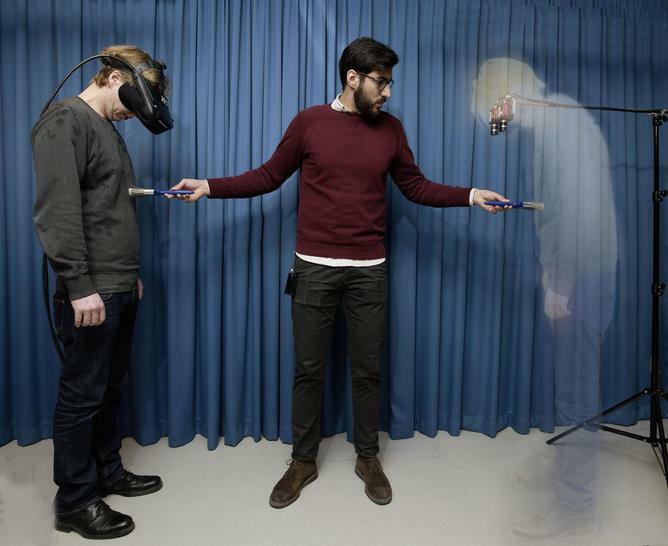 But a new study has approached the scenario from the other direction, asking what it would feel like to be invisible. The answer, it turns out, is it would make us feel more confident. The research was carried out using an extension of the classic rubber-hand illusion. In this experiment, a participant views a dummy hand being stroked with a brush, while also feeling a similar brush stroking their real hand, which is hidden behind a curtain. If the brush-stroking they are viewing on the rubber hand is synchronised with the stokes on their real hand, a powerful illusion can be produced; that the dummy hand is their own hand. A number of interesting variations on this basic experiment have been demonstrated. For instance researchers at Royal Holloway have shown that inducing this sense of ownership of a darker-skinned hand subsequently reduces implicit racial biases in Caucasian participants. A further elaboration of this basic effect uses virtual-reality goggles to change the visual perspective of a participant, so as to induce the sensation that their entire body has been “swapped” with a mannequin, or even another person. The illusion works because of the way that the brain integrates information from different senses, and the powerful role that sensory information can have in guiding perception. The effect can be boosted by the use of drugs such as ketamine, which can lead to very powerful sensations of ownership of the rubber hand. I fee calm as a cucumber. In the new study, participants wore virtual-reality goggles which gave them the perspective of a mannequin placed opposite them. An experimenter then used two brushes to synchronously brush the participant’s and the mannequin’s stomach region, and the participants looked down at theirs and the mannequin’s stomach as the brushing occurred. With this procedure they successfully induced the illusion that the mannequin’s body was the participants own. 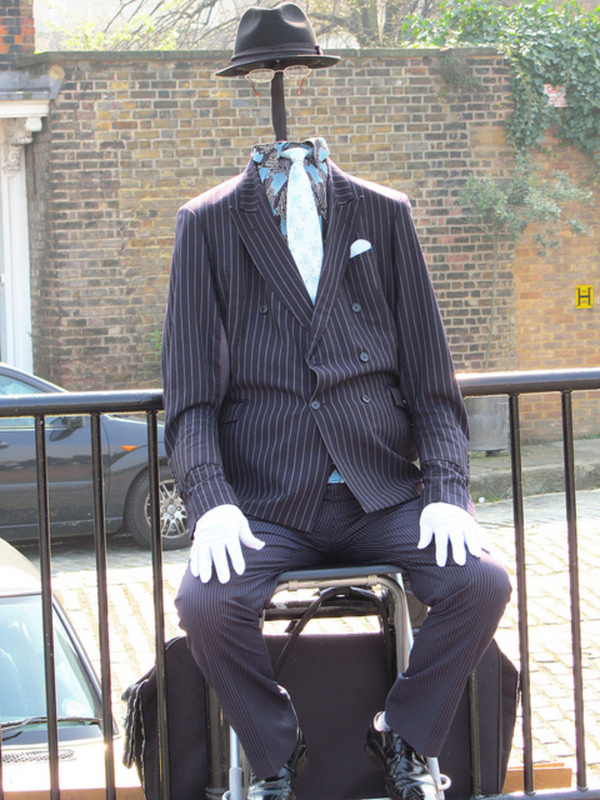 To create the sense of being invisible, the mannequin was then removed, and the participants were shown the visual perspective of a camera mounted on the wall, in the same position as the mannequin’s head had been. The experimenter then brushed empty space (as well as the participant’s own stomach), and this successfully produced the sensation that the participant had an “invisible” body. Invisibility in treating social anxiety? The researchers were also interested in looking at how having an invisible body would affect social behaviour. To test this, they placed the participant in front of an audience of serious-looking people. The participants reported significantly less stress and anxiety when they were “invisible” compared to when they had a visible (mannequin) body. These results contribute to a general hot topic in psychology and neuroscience right now: embodied cognition. For many years researchers have been content to study the brain and mind as a discrete system, divorced from the body in which it’s housed. However, recently there has been a growing awareness that brain and psychological function is heavily influenced in a variety of ways by physical effects on the body. This latest experiment elegantly demonstrates that changes in our body perception can have wide-ranging influences on our emotional and social behaviour, and raises the possibility that virtual-reality procedures like those used in the new study may even find an application in the clinical treatment of social and emotional disorders.